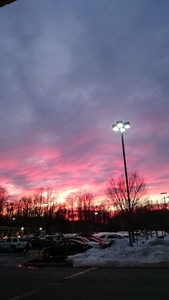 Check out this great article by John McNamara of the Capital Gazette! Photo's by Paul W. Gillespie. 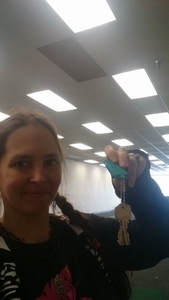 Friday, January 29, 2016 we picked up our keys to 3259 Solomons Island Road in Edgewater, in the South River Colony Shopping Center. 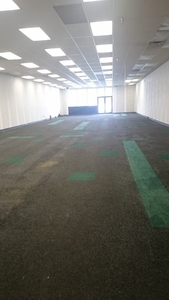 We are very excited to be in our first space! 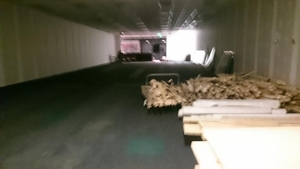 We have been working hard with National Ballet Institute for the Arts and have already moved in materials for dance floors, chairs for our waiting area, scenery, costumes, mirrors, and dance barres. What do we need? 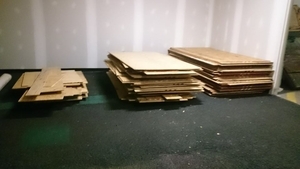 Screws for the floors, materials to build the walls and volunteers to help build the walls and paint. Donations of cleaning supplies and office equipment are also helpful. Our goal is to offer dance and art classes within the next 6 weeks, as well as have artwork on display. Music and theater will follow soon after! 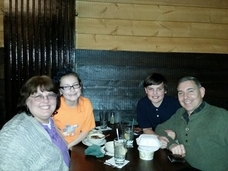 Article from South River Source (www.SouthRiverSource.com) on April15, 2014. A new arts group has formed in our community. 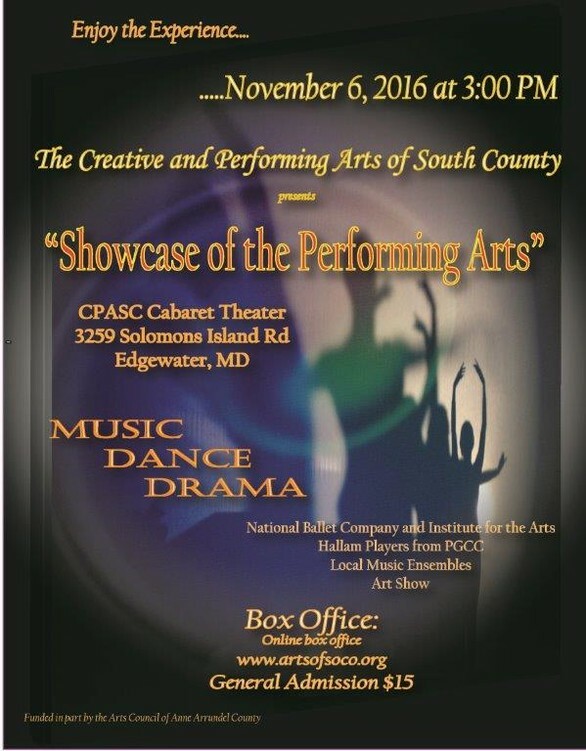 Known as The Creative and Performing Arts of South County, the group will strive to bring quality arts education as well as performance opportunities and gallery space to southern Anne Arundel, northern Calvert and Prince George’s counties. 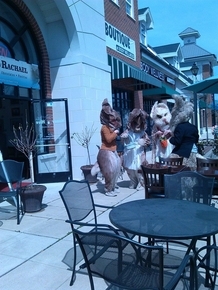 Peter Rabbit will be coming to Honey Hive in Edgewater on Saturday. Kimmary MacLean is the executive director of the group. She said that, they have already recruited members and are working with multiple organizations, including the Londontowne Symphony Orchestra (LS), the Muddy Creek Artist Guild, Arundel Vocal Arts and the National Ballet Institute. MacLean said that the group wants to collaborate with the artists that live in the area. She is involved locally in the arts scene. 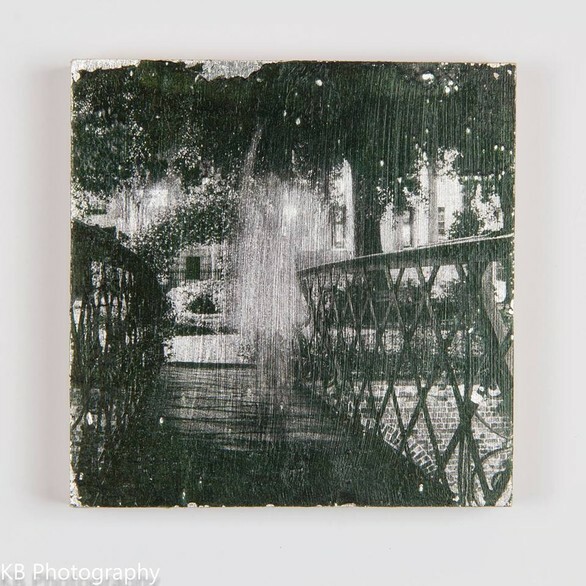 She is a member of the Muddy Creek Artist Guild where she’ll be showing her photography work in their upcoming show in Galesville on April 24-27. She also runs an extracurricular art club at Shady Side Elementary School. MacLean, who earned degrees in accounting and art from the University of Maryland, trained in the Cecchetti Method of ballet. She currently teaches at the National Ballet. 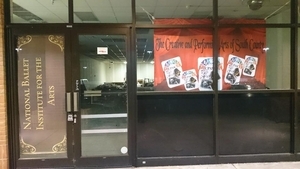 The Creative and Performing Arts group, which formed in February, will focus on classes and performances for students, from children to adults, as well as continuing education for professionals. Right now, they have two small events planned. 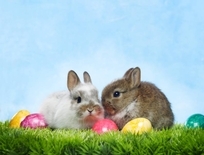 From noon to 3 p.m. on April 19, they host a free Easter-themed event at the Honey Hive cafe in South River Colony Main Street in Edgewater. In collaboration with the National Ballet, costumed Peter Rabbit characters will stop by, while Rachel Powers, who owns Honey Hive will run an Easter Egg Hunt and other activities. 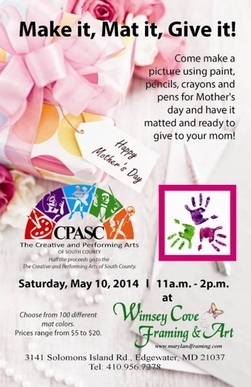 From 11 a.m. to 2 p.m. on May 10, they’ll assist with Wimsey Cove’s annual Mother’s Day, “Make It, Mat It, Give It,” event, where families can come to Wimsey Cove Framing and Art in Edgewater to create a one-of-a-kind piece of artwork for mom, grandmom, or that special someone in your life. 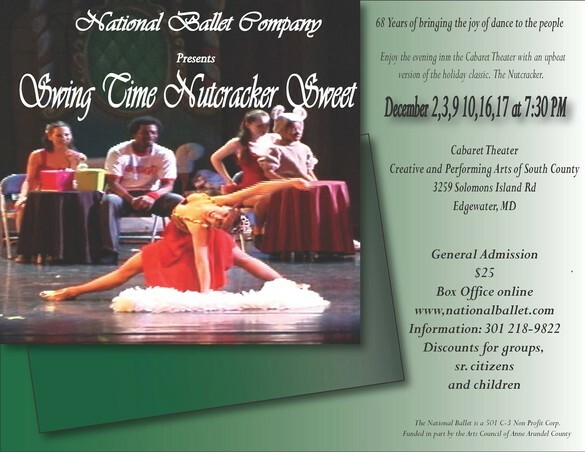 Wimsey Cove will be donating half of the proceeds to the Creative and Performing Arts of South County. Wimsey Cove is located at 3141 Solomons Island Road in Edgewater. MacLean said that they are working on future events and also focused on finding performance space. “LSO does not have a home for the organization. They hold their concerts at the high school or whever they find space available. We would like a space to provide artists. 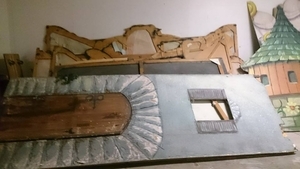 We’d like gallery and performance space to have everything in one location,” she said. Think of what Maryland Hall provides the Annapolis community. 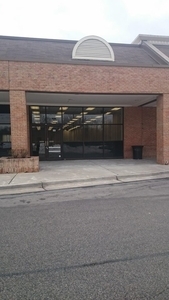 MacLean said that they are hoping for something in the Edgewater area, but if they can find a temporary space while they look for a more permanent space, that would be ideal. If you’d like to learn more about the group, email contact@artsofsoco.org. Come to the art reception for the photographic exhibition of works by Kelcey Bauer including the series Never Alone and Landscapes from Across the World. Enjoy light food, drinks and meet the artist. In 2014, The Honey Hive, National Ballet Institute for the Arts, and The Creative and Performing Arts of South County teamed up to bring an Easter Party to the Main Street at South River Colony. We are doing it again in 2015. Come and hear The Tale of Peter Rabbit and meet the characters. Saturday, March 28, 2015. The Tale of Peter Rabbit will be read and performed at 11:30am and 1pm. 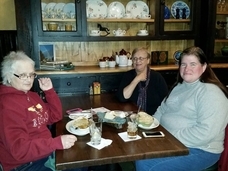 Thank you Killarney House Irish Restaurant and Pub for a wonderful dinner and hosting our fundraiser. Everyone loved it and we plan to return! Menu Price: 3-course meal for $25 per person plus tax and gratuity. $10 will be donated to CPASC for each order from this special menu. 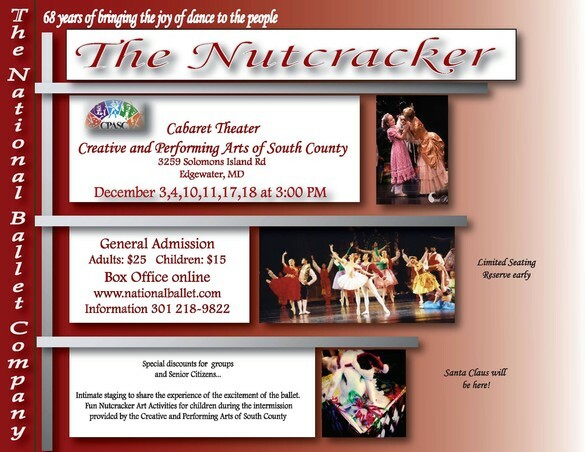 The National Ballet Company's 'The Nutcracker' was a great hit and has already been scheduled for 2015. 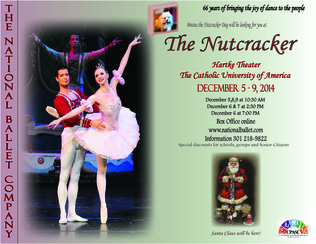 The Nutcracker will once again be performed at The Catholic University of America, December 11-16, 2015. 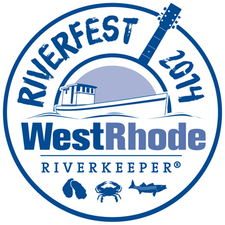 We had a wonderful time at Riverfest 2014. Our Summer themed raffle was a big hit. 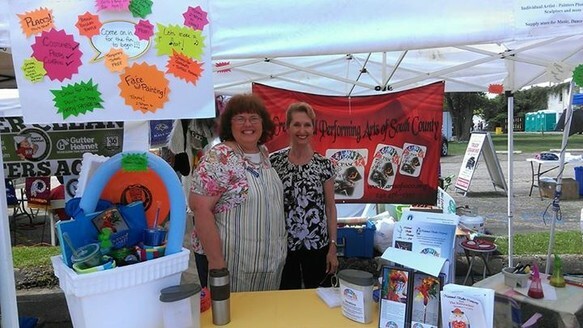 Children enjoyed painting, drawing, and temporary tattoo's while parents gathered information and talked to our representatives Darla Winstead (pictured left), Pamela Moore (pictured right), and Elizabeth MacLean (not pictured). & Non-Profits Organizations and Much, Much More!!! $10 adults, $4 children, kids under 6 free. Make it, Mat it, Give it to mom! 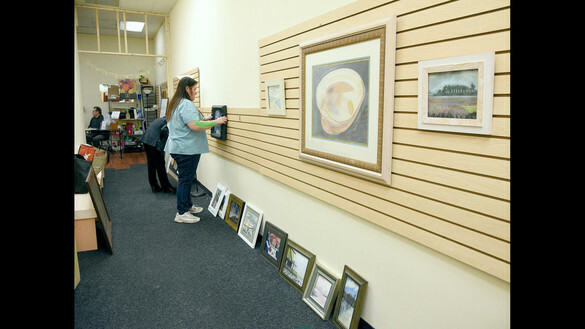 Wimsey Cove Framing & Art will hold its annual “make a picture” for Mother’s Day on Saturday, May 10, from 11 am to 2 pm at its store, 3141 Solomon’s Island Road (Rt. 2), Edgewater. This very successful event offers children an opportunity to draw, paint, or color their own art as a gift for Mom. Children choose from 100 different colors of mat to frame their work and the final product is put into a protective plastic sleeve for easy gift-giving. 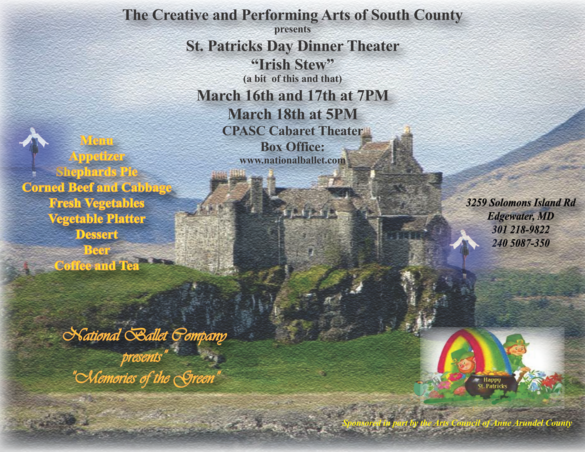 Prices range from $5 to $20 and half the proceeds go to CPASC, The Creative and Performing Arts of South County. Wimsey Cove Framing & Art, the go-to fine framing store, has developed a reputation for framing everything from large oval ceiling pieces to conservation framing for fragile textiles. 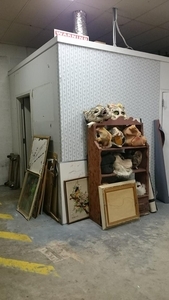 As Elizabeth Ramirez often says, “we enjoy the challenge of ensuring that the customer’s art, photographs, needlework, watercolors, sports memorabilia, antique prints or whatever is protected as well as being appropriately displayed. Every piece is special.” This is particularly true for the Mother’s Day “Make it, Mat it, and Give it” event every year. We had a wonderful day at The Honey Hive in Edgewater. We collaborated with The Honey Hive and National Ballet Institute for the Arts (NBIA) to bring an Easter Party to the community. The tale of Peter Rabbit was read by NBIA Director Pamela Moore while the dancers reenacted events. Rachael Powers of Cakes by Rachael and The Honey Hive presented beautifully decorated and scrumptious cupcakes, as well as an egg hunt and face painting. And our bunnies, Magic Cocopuff and her babies Fluffy, Caramel, and Cadbury had a great time outdoors receiving the attention of children and adults in attendance. The Honey Hive is hosting an Easter Party in collaboration with National Ballet Institute for the Arts and The Creative and Performing Arts of South County. Meet the characters of Peter Rabbit and enjoy some fun holiday activities. Join the welcome party at NBIA of the Siberian Swan Pointe Shoes as they enter the US for the first time. 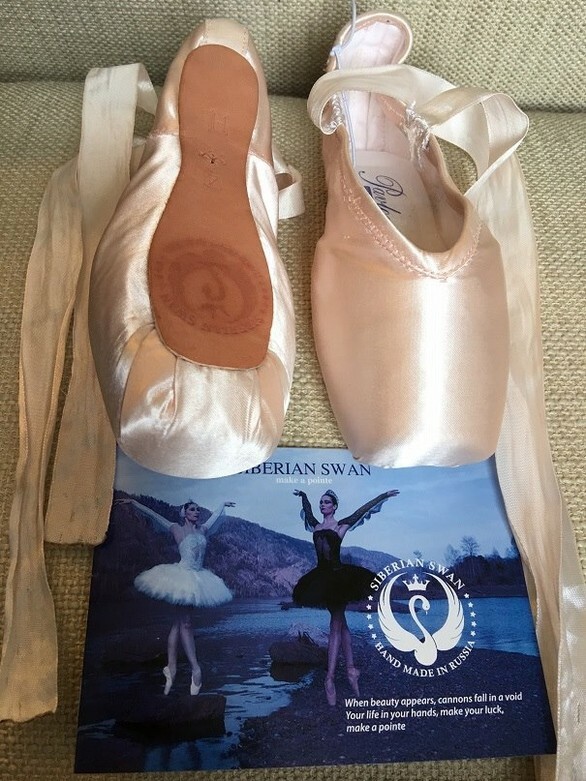 Alexandre Kedrov and Pamela Moore are pleased to welcome dancers, students, teachers and dance supply stores to see, try and purchase this incredable shoe. Refreshments and fun while you experience the "Swan"
visit the website at www.siberianswan.com to learn more about the shoes.